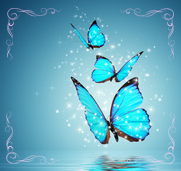 The Free Online Angel Card Readings at Angel Messenger really are the Best Free Angel Card Readings Online. Using 88 cards blended together from the Messages from Your Angels Oracle Card Deck and the Magical Mermaids and Dolphins Oracle Card Deck, both authored by Doreen Virtue, your own angels, spirit guides and loved ones in Heaven will communicate with you their messages as well as answers to your questions. We highly recommend both of these card decks, and we also include extended descriptions for each card written by either Rev. Sheri or one of her trusted colleagues. Connect with your guardian angels, spirit guides and loved ones on the other side! This will prevent the site from shutting down and allow you time to reflect upon your message. 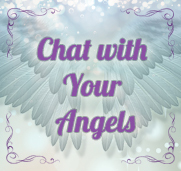 Ask your angels and spirit guides about a specific person or situation. Ask “What do my angels want me to know?” They will give you the message you need right now. Or, ask for a message from a loved one in Heaven. 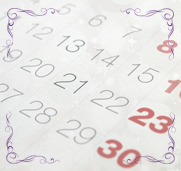 Find out what’s coming up for you in the next few months or if life will flow a little smoother soon. Take a peek at your week ahead! What is the purpose of this relationship? 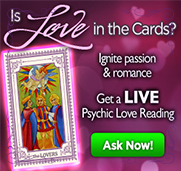 Find out if he/she is your soulmate, where your relationship is headed or how someone feels about you. Ask any question for which you need a simple answer, or use this as a daily/weekly message. Ask your angels and spirit guides about your life purpose. Are you progressing on your path? Is there a challenge standing in your way? 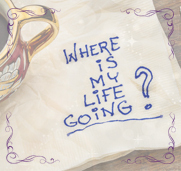 What advice does Heaven have for you on how to move forward? Talk to a Live, On-Demand Psychic! Reputable spiritual practitioners are available 24/7 to answer all your questions. Sometimes the online readings are just not enough and what you really need is to talk to a real live person. 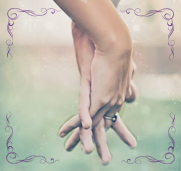 Read more here about Interpreting the Free Online Angel Card Readings. Or, Choose a different reading. 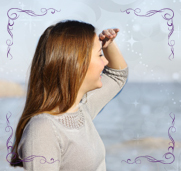 Get Another Free Online Angel Card Reading! A good rule of thumb is to consult the cards no more than once a week for the same question. It would be better yet to wait a month or longer. Repeating this service for the same question over and over can be self defeating or cause inaccuracy. If you receive the same card more than once in your reading, pay special attention to the message. 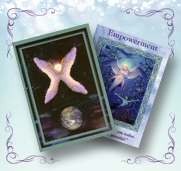 The cards used in our free online angel card readings are the Magical Mermaids and Dolphins Cards and the Messages From Your Angels Cards both by Doreen Virtue.